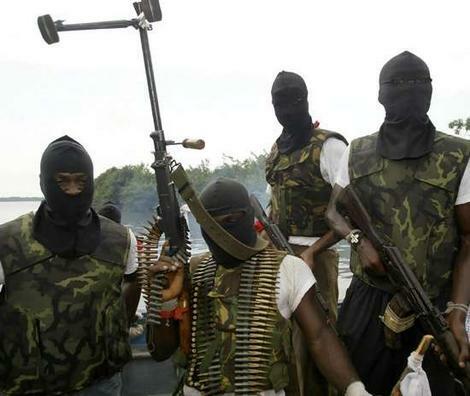 For a week in September, militants from MEND (The Movement for the Emancipation of the Niger Delta) in the Niger Delta engaged in a series battles with the Nigerian armed forces which included blowing up oil installations and taking oil workers hostage. Despite reports that hundreds had been killed it came as a surprise when seven days into the conflict MEND declared a ceasefire. Whereas I would not want to describe what is taking place as an all out war but it is very clear there is a significant shift in the nature of the militancy in the region with militants now both prepared and clearly armed sufficiently to take on the federal government forces. The present militancy is a continuation of the non-violent Movement for the Survival of the Ogoni People (MOSOP) started by the late Nigerian writer and civil rights activist Ken Saro Wiwa. Saro-Wiwa’s and the Ogoni people’s declaration in the form of the Ogoni Bill of Rights created a domino effect across the region in which every nationality issued their own equivalent of the Ogoni Bill of Rights such as the Kaiama declaration (ijaw). For a brief moment in November 1995 the region was silenced by the summary and illegal trial and execution of the famous Ogoni 9 - campaigners against the Nigerian government and multinational oil companies like Shell. But this was simply the moment before the dawn. A moment to reflect on the past and decide on the future. The Ijaw people chose to move towards militancy and today's battle is the culmination of 15 years of struggle without any movement forward, without any change in direction by the Nigerian government. Not an inch has been given. On the contrary, the region has been occupied, women raped, villages pillaged and the environment continues to be violated. The oil companies and the Nigerian government have shown nothing but intransigent arrogance and disdain for the people, their land, their rivers, ponds and creeks. The Nigerian government rules like a mob of predatory fascist thugs. Faced with non-violent protest, their response is to bully people into submission and as we all know, sooner or later the bullied hit back, often wildly hitting out in all directions as if fending of a giant octopus. Maybe this was true in the beginning but now the militants are becoming more organised and strategic in their actions. But if they are to succeed in attaining autonomy and a real share in the wealth of the region, they must first ensure they include all the nationalities of the region and must be humble enough to put the communities needs first and not their own. The Ogoni Movement began to collapse at the point when the 4 so called "moderates" of MOSOP were murdered by a mob in May 1994, following a crisis in the leadership of MOSOP between the moderates and hardliners such as Saro-Wiwa. The present militant movement is already divided with various factions operating autonomously and the danger is always there for these groups at some point to begin to fight each other rather than the common enemy especially if one group wishes to put self-interest first and negotiate in their own rather than the regional interest. Even if all the militant groups are unified and find a way to work together, non-militant activists need to be working in parallel by challenging both State and Federal government and the multinationals on a number of fronts such as the land compensation and the devastation of the regions ecology system (the promised environmental clean up has been delayed over and over again), corruption at State and Local government. The vandals in Abuja and the self-serving governors of the Niger Delta states are wholly responsible for the actions of MEND and other militants having ignored years of peaceful protest. The latter have been particularly divisive by appropriating the struggle whilst at the same time filling their pockets with millions and invoking ethnic nationalism to cover their tracks. In January 2005, Ike Okonta wrote an article asking whether Asari Dokubo - a militant activist - was "insurgent or self-serving opportunist and in which he suggested three possible steps to be taken by the Nigerian government that would encourage the militants to disarm themselves. "One, the Nigerian government must turn away from the comedy of relying on one or two Abuja-based NGO ‘leaders’ to broker a peace-process in the Niger Delta. These ‘Executive Directors’ represent only themselves, and they are out to corner as many bags of Naira as a naïve Aso Rock is willing to pass their way. The Ijo and the other delta communities do not lack credible civil society leaders. Some of them, like Professor Ebiegberi Alagoa, author of the classic book, The Brave Small City-State, have been writing and reflecting on the problems of the area for over four decades." "These revered personages, and an emergent generation of younger delta scholars like Dr Lucky Akaruese and Asume Osuoka, should be asked to provide an intellectual framework, backed by solid evidential research, to power a meaningful peace process." "Two, Asari Dokubo’s call for a Sovereign National Conference wherein his people might be enabled to air their grievances and dialogue with other Nigerians about ways in which resources might be produced and allocated equitably, must be heeded. The Wole Soyinka-led Citizen Forum and Dokubo are at one here when they stress that this national dialogue must be sovereign, and rid of the usual rigmarole of stuffing the deliberations with government nominees." Nearly three years have past and none of the above have been addressed despite the increased militancy and Nigeria now has a new President, with a Vice President from the region. But the Nigerian government remains stuck in the 1990s - a weak ineffectual bully who does not want to understand or listen to the people of the delta. The relationship between the Federal and State governments on the one hand the oil companies on the other has always been one of partners in crime, each serving the other as needs be. Corporate responsibility in terms of transparency, human rights and the environment must also undergo a dramatic change. Foreign governments whose reliance on Nigeria’s oil also need to be accountable and must stop protecting the oil companies and instead hold them accountable and facilitate legal proceedings against these multinationals who have committed human rights and environmental abuses in the Niger Delta. For our part as activists and citizens of the region we must make our struggle a pan-Delta one and all inclusive - bickering amongst ourselves serves only those who want to keep us down; It must be a grassroots struggle driven by the people for the people, not by governors and traditional leaders for themselves and the few; it must include women who are central to our communities and who have time and time again stood up to the multinationals, Nigerian armed forces and the militants themselves. Finally the militants must work together with other activists in the community to begin to build structures which in the future will underpin a new and transformational community where the typical hierarchies of Nigerian politics and society are no longer acceptable. Sokari Ekine is an Anglo-Nigerian civil rights activist, writer and award-winning blogger. She blogs at Black Looks.